Liam Gallagher left his Oasis days behind him as new band Beady Eye made their live debut. The five-piece performed their album Different Gear, Still Speeding in front of a lively crowd at Glasgow's Barrowland. "How we doing? All right?" was Liam's first exchange with the crowd, four songs in, and he remained largely subdued throughout the hour-long set, in which he kept his promise of refusing to perform any Oasis material. 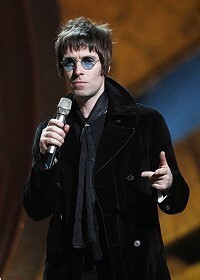 His brother Noel walked out on the group in 2009, leaving the remaining band members to carry on under the name Beady Eye. The likes of Three Ring Circus, Wind Up Dream and Standing On The Edge Of The Noise stood out among a solid set. And the fans sang aloud to every song, which was impressive since the album was only released on Monday. Liam's parting words were: "Thanks, it means a lot," as he left the stage.